If you are no longer able to do the essential functions of the job you held at the time of your injury, and your employer does not offer you another job, you may be entitled to a workers’ compensation law benefit known as Supplemental Job Displacement Benefits or Voucher(1). If you are permanently unable to perform the essential functions of the job you held at the time of your injury, and your employer does not offer you another form of work, you may qualify for a SJDB. The benefit comes in the form of a non-transferable voucher that can be used to pay for educational retraining or skill enhancement, or both, at state-approved or state-accredited schools within the state of California or out of state. The voucher covers school tuition, fees, books and expenses required by the school for training. No more than 10% of the value of the voucher can be used for vocational and return to work counseling. Your employer’s insurance carrier must offer the voucher to you when your permanent disability level has been determined, either by way of an agreement between you /your attorney and the employer or its insurance company, or by way of an award by a workers’ compensation judge. If you are permanently unable to perform the essential functions of the job you held at the time of your injury, and your employer does not offer you another form of work, you may qualify for a SJDB voucher. 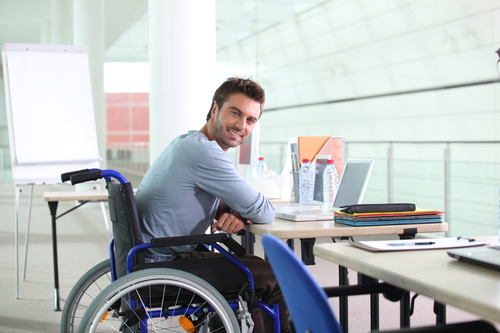 The voucher amount is $6,000.00 regardless of the permanent disability ratings, and can be used for training at a California public school or any other provider listed on the state’s eligible training provider list. It can also be used to pay licensing or certification and testing fees, to purchase tools required by a training course, to purchase computer equipment of up to $1,000.00 and to reimburse up to $500.00 in miscellaneous expenses. The voucher cannot be used outside the state of California. Up to 10%, or $600.00, of the voucher may be used to pay for the services of a licensed placement agency or vocational counselor. No more than 10% of the value of the voucher can be used for vocational and return to work counseling. Education-related retraining or skill enhancement must be with a California public school or with a provider that is certified and on the state’s Eligible Training Provider List. The voucher is due 60 days after a final medical report is issued declaring your injury is permanent and stationary. 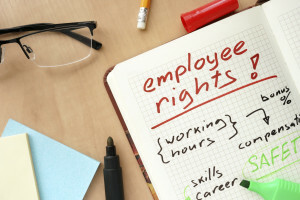 Additionally, in order to qualify for the voucher the medical report should outline your work limitations and that your employer did not offer you another position. If your employer offers a modified or alternative job and you don’t accept it, can you still receive the voucher? The job is located within reasonable commuting distance of your residence at the time of injury. The voucher does not expire if issued prior to January 1, 2013. If issued on or after Jan. 1, 2013, the voucher will expire within two (2) years of being issued, or five (5) years from the date of injury, whichever comes last.